I recently went shopping at Garage this week to pick up some basic tops for the Springtime. I love buying tops that I know I'm going to get a lot of use out of. The tops I'm going to show you are super light, breezy, comfy. The colors are also amazing, so they're perfect for Spring! This first top is probably one of my favorites because of the floral print. 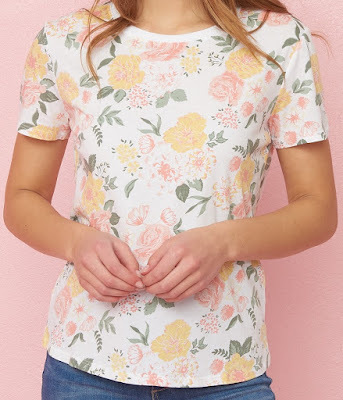 I'm obsessed with any clothing item with flowers/ a floral pattern on it! The colors of the flowers are so pretty. I especially love the hint of yellow because I really don't wear yellow a lot. It's just a fabulous everyday top! This next top is the most beautiful shade of pastel purple. 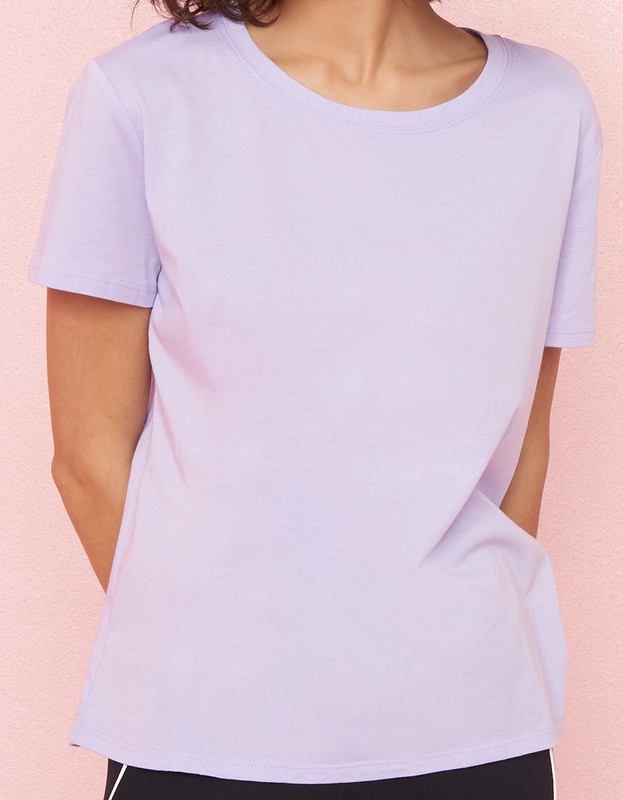 Lavender and lilac is a huge trend for this Spring. I'm so happy about it because Lavender is one of my absolute favorite colors! How could you not love this color? 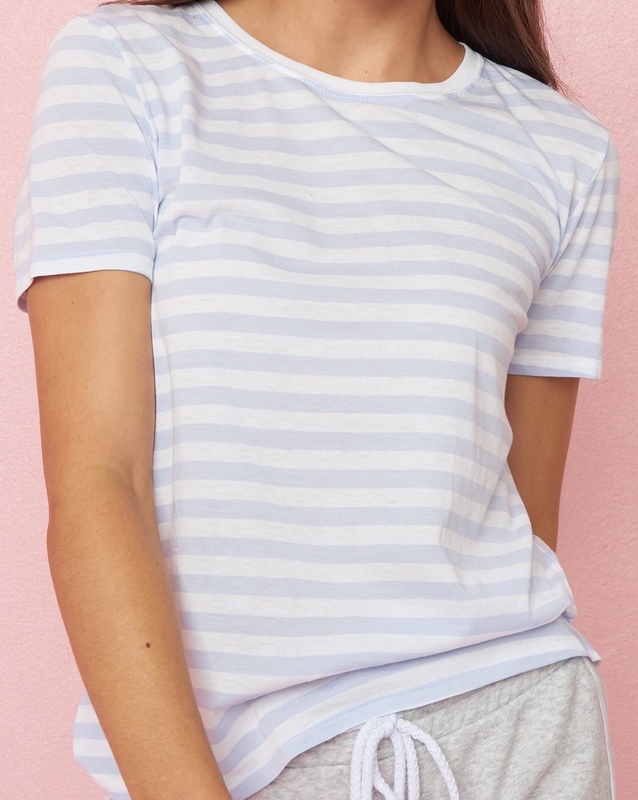 I adore this white and blue striped top! As you can see all of these tops are pastel because pastels are made for the Springtime! I love the pattern on this top. The sky blue is gorgeous! I don't have many striped tops so I'm excited to wear this one. 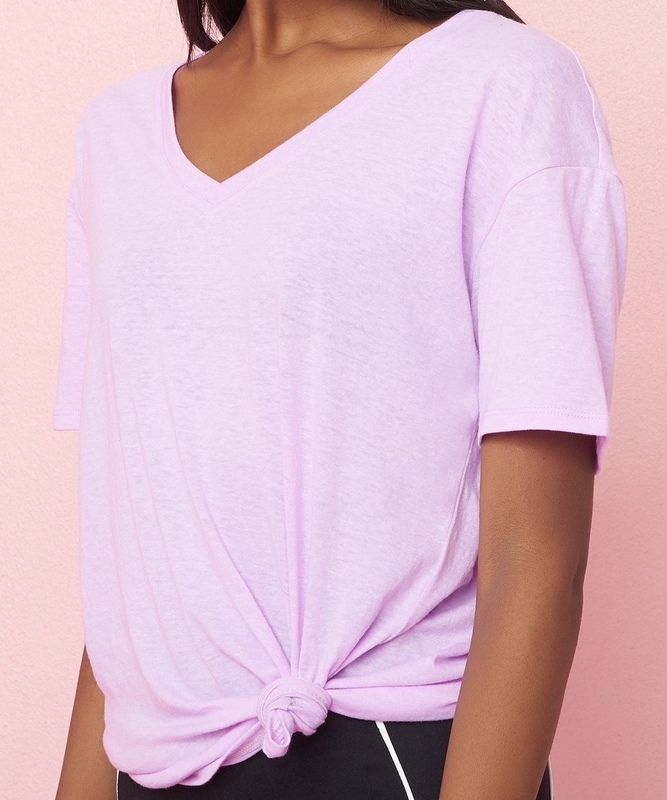 Lastly, I got another lavender colored top. I think I may have an issue with buying too many tops this color! I figured though since it's more of a timeless trend it'll still look fashionable when people stop wearing it as much. Anyway, that's how I justified it in my mind! Haha!! You have to admit it's a stunning color. 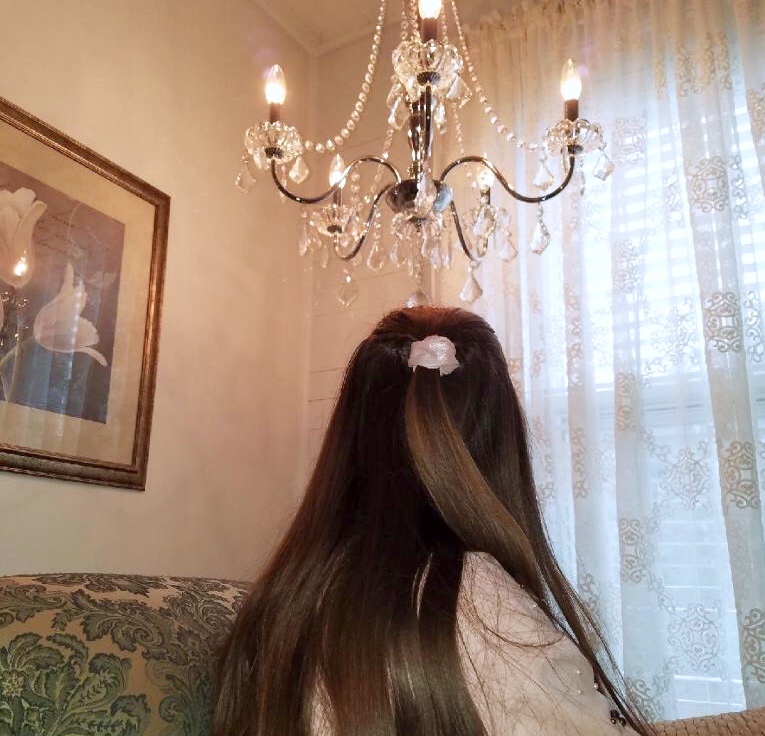 I love adding a little knot to give the top a little extra something. It's so comfy and I love the length. Would be perfect paired with leggings. These tops are so cute. I love the floral one. Lovely picks! I usually go for a white tshirt and forget to buy more intesting tshirts such as those ones! Thank you for reminding me that I have to force myself not to buy white tshirts always and always! !